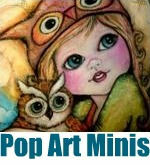 Pop Art Minis: Big Eyed Inspiration...Playing With Dolls...A W.I.P. 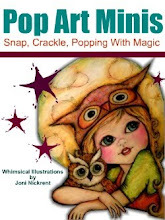 Wednesday Buzz and What I LOVE! Big Eyed Inspiration...Playing With Dolls...A W.I.P. Wednesday Buzz and What I LOVE! Shared at What I Love Wednesday! I love my Blythe Doll(s)! 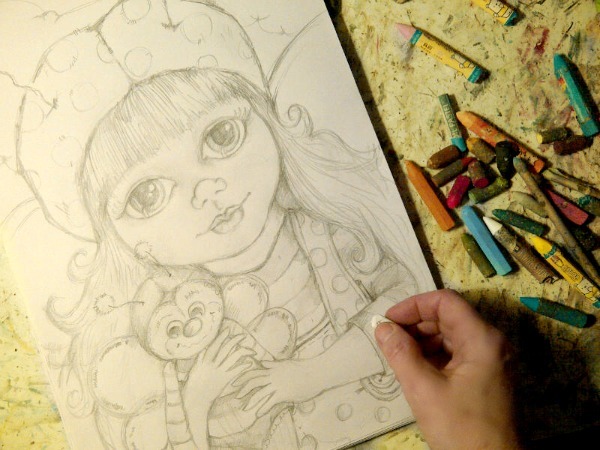 Call me "cuckoo" that's ok, but there's something about those big eyes that capture my imagination and inspire me in my art. After a day at the office...playing with dolls...hmmm...see a pattern here...I thought it would be fun to enjoy a little play date/photo shoot with my "official" Blythe doll and her new B.F.F. who is not an official Blythe, but we don't need to point that out to her! 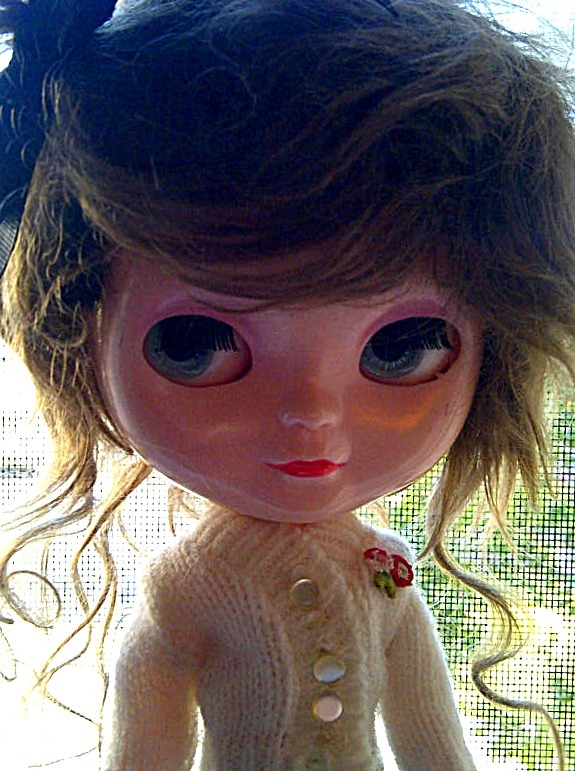 She recently joined the family and when she arrived she had straight dark black hair and it was not looking too good..thin in the back and kind of icky so I got brave enough to give it a chop and crown her with a new head of hair! I'm liking the new look, but still have a little work to do to get it just right! 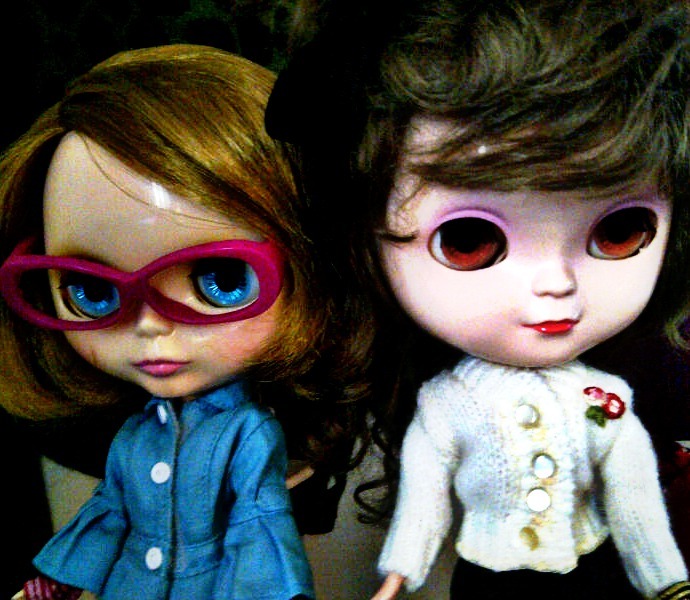 In the meantime, here's a few quick pix I snapped of the styling duo! 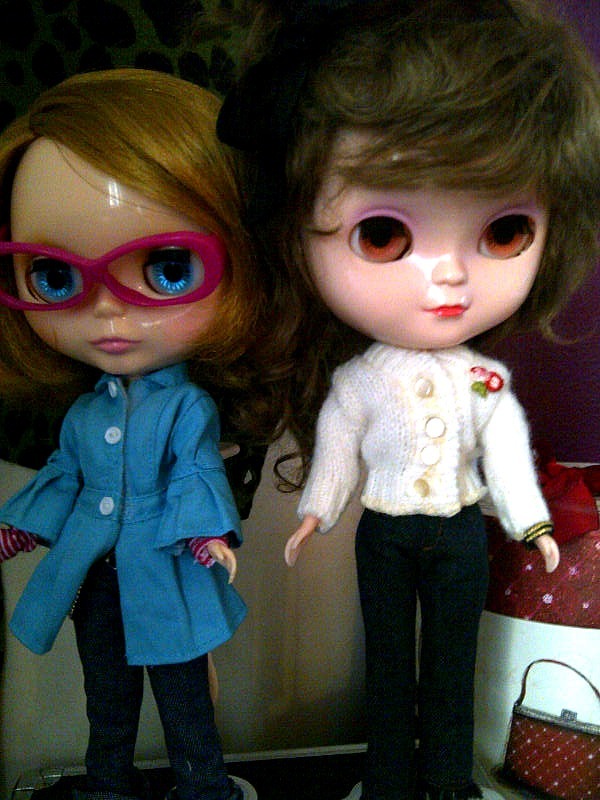 My "official" Blythe is the blond on the left! 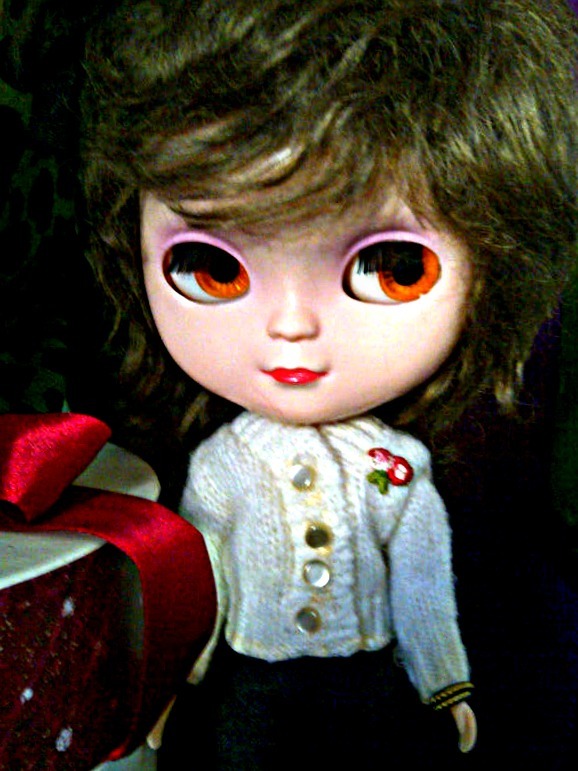 The dark haired cutie...the new B.F.F. After all that I needed to relax with a little sketch time...Another Love! And of course that was inspired by the big eyed cuties and a little buzzzz! 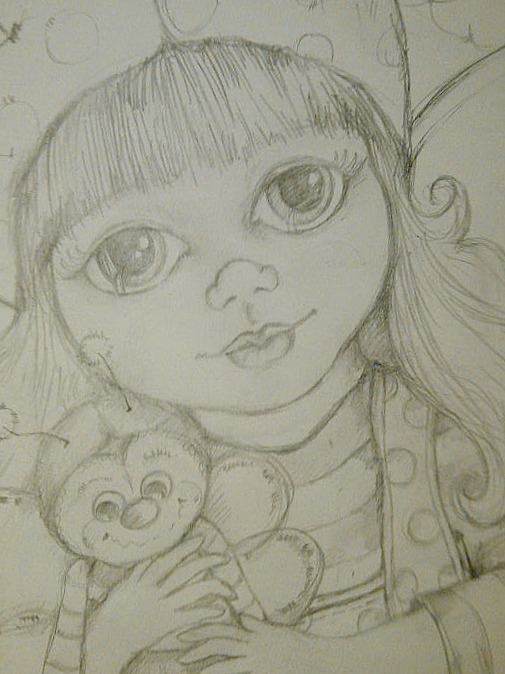 A Honey of a bumble and a baby bee! Can't wait to add the pops of color! So that's my Wednesday Buzz...What's Yours? 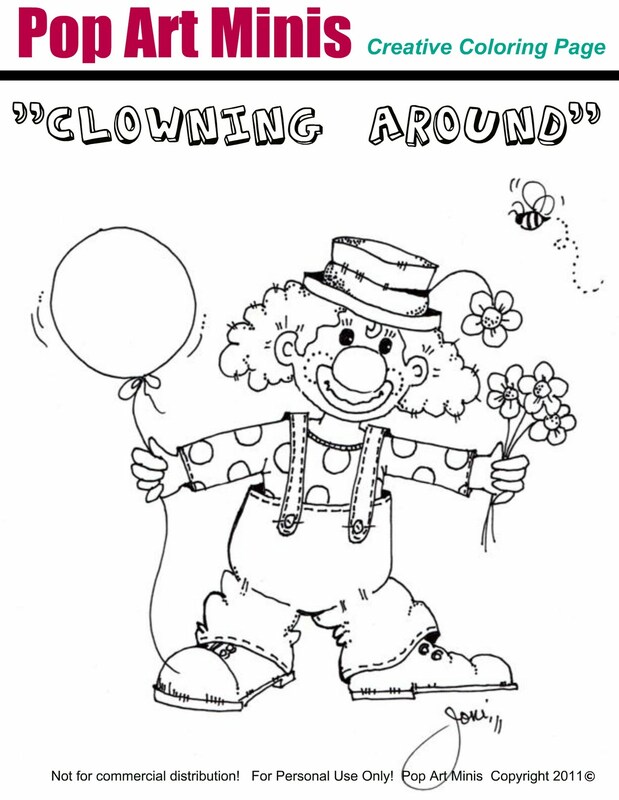 Don't forget to join us in the "Clowning Around" Creative Coloring Contest. 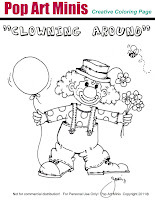 u draw beautifully, xo hugs I am participating in WILW this week too! so happy to visit you!